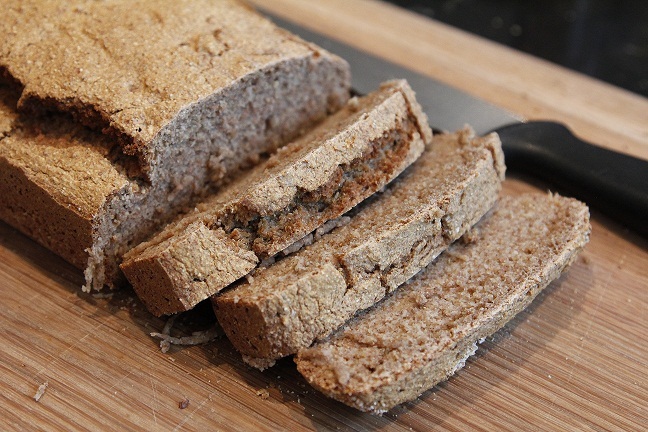 This is the simplest and most delicious recipe for a loaf of home-made bread I know. It works every time 🙂 Please do give it a go and let me know how you get on. Mix the flour, yeast and salt in a large bowl. Dissolve the honey in a cup of filtered water and add it to the dry ingredients. Keep adding the rest of the water until you have a sticky dough. Divide the mixture equally into either 1 large greased bread tin, cover with a cloth and allow to rise in a warm place for 20 minutes. Bake at 200 C for 1 hour. PS: chopped olives, grated courgette, fresh herbs etc can be added to the mixture.